Contest: Win M. Night Shyamalan’s Superhero Trilogy! 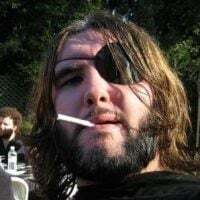 | Birth.Movies.Death. 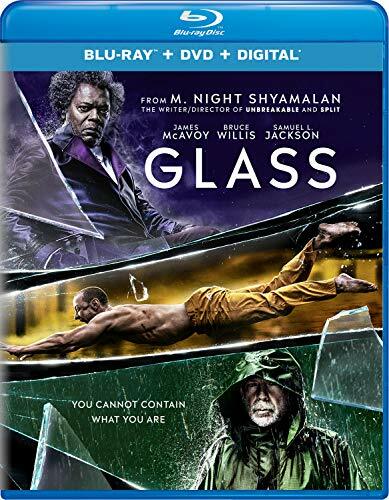 A number of us here were fans of M. Night Shyamalan's Glass when it hit theaters earlier this year, and we are of course very excited to revisit the film when it hits Blu-ray next week. Not just to watch the movie again, but to soak in all the bonus features that will be on the disc - including an alternate opening and a dozen deleted scenes, with Night on hand to explain why they were excised. It's the sort of jam-packed disc I love to see from a major studio in these streaming-heavy times, and I'll hopefully have a new installment of Extra, Extra up next week to celebrate it. In the meantime, who wants to win a pretty sweet prize pack celebrating the trilogy (Unbreakable, Split, and of course Glass), courtesy of Universal? The winner will get all three films on Blu-ray, and Glass will be signed by Night himself. You'll also get a Glass-branded wireless mouse, perfect to use when you're focused on your laptop on the train and failing to notice that Bruce Willis is sitting across from you! To enter, simply email [email protected] with your response to this question: what would your superhero *weakness* be? Everyone's always picking their preferred superpower, but I - for non-nefarious reasons, I assure you! - am curious what would be able to bring you down if confronted with it. Something made up like Kryptonite, or something as simple as water? I'll be picking a winner on Tuesday - which by shocking coincidence is the same day that the film hits shelves on Blu-ray (it's available on HD now if you're anti-physical media), so get those entries in! Including your name and full mailing address - US addresses only please. M. Night Shyamalan’s trilogy capper is an exercise in purposeful disappointment. Nearly 20 years later, the film's influence is undeniable.